I learned about today's Feel Good Friday organization, Mermaids, because Representative Alexandria Ocasio-Cortez recently joined a gaming livestream that was raising money for the organization. You can watch that interaction here and read more about Mermaids below. 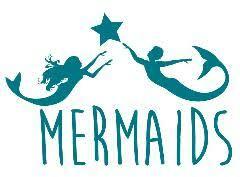 Mermaids is an organization based in the United Kingdom that provides "family and individual support for gender diverse teenagers and children". As explained on their website, "We work to raise awareness about gender nonconformity in children and young people amongst professionals and the general public. We campaign for the recognition of gender dysphoria in young people and lobby for improvements in professional services." Mermaids has helped thousands of people since their formation in 1995. They have a help-line you can call and they run support groups for youth and their parents. In addition, the website has tons of resources, including links to videos and articles that are designed for young people, parents, and professionals. They also provide trans-inclusive diversity training for schools, organizations and private companies. You can see the impact Mermaids is having on young people and their families by watching this 4-minute film, #IKnowWhoIAm. If you'd like to support their work, you don't have to stream your Donkey Kong game on Twitch. You can buy and wear some merchandise, make the traditional donation and raise awareness on social media by liking their Facebook page and following them on Twitter @Mermaids_Gender.